"It was the best day ever of 7th grade!" Presenters of Living History transforms eight hours of classrooms and textbooks into a day bursting at the seams with students' excitement for learning. Our living history educators will come to your school and, for as long as you like, help your students actually experience both the routine and celebratory aspects of our ancestors' daily lives: music, dance, sports, pageantry, crafts, and glimpses of what people wore and how they worked. Our presenters have extensive knowledge of Ancient Civilizations, the time of Queen Elizabeth I, America's Beginnings, Civil War, the World of Charles Dickens, the Golden Era of Early California and the Old West. 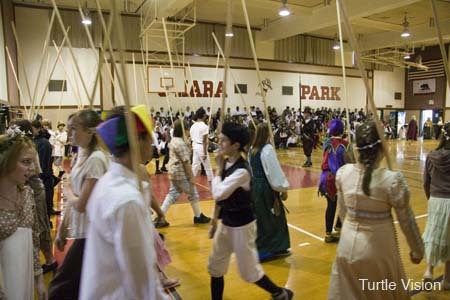 Round Robins can accommodate large groups or enhance all-school history days. Presenters of Living History would like to help you bring your curriculum alive. 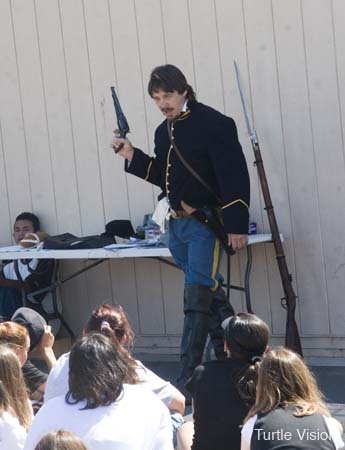 For a cost that will fit almost any budget, a living history presenter will gladly come to your school. Please look over the list of our current presentations and tell us how we can best meet your needs. Feel free to e-mail with any questions, or, better yet, we can send a list of teachers and schools who'll be happy to tell you about their past programs. Click here to see what the Students are saying! Click here to read Our history! We are based in California, but we have presenters all over the country. The students favorite choice! 4-20 presenters come to your school, and treat the students to 4-15 different presentations. Students get at least one Craft (to make and take home), an Activity and an Instruction class. 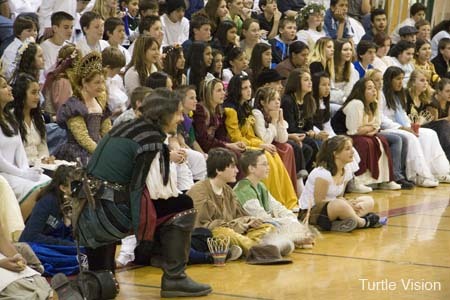 Most schools choose this as either a kick-off to their Renaissance section, or a year-end reward for a job well done! 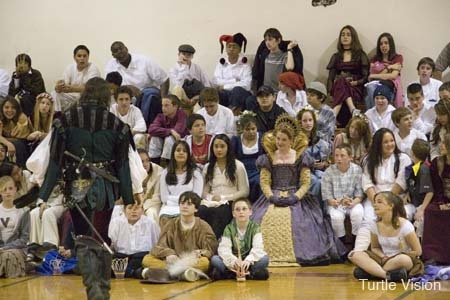 From a visit by a single historical character to a high-energy cast of talented actors, these presenters specialize in holding large groups of students spellbound. Based on your budget, these presenters can come into your classroom and offer any one of the classes below. Hands-on History! Nothing educates like having that little something to take home and spark those memories! Basketry - A student favorite! 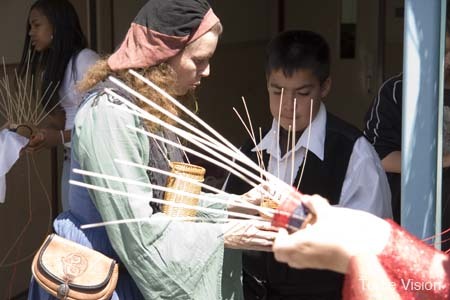 A hands-on experience in basket making, while exploring basketry guilds & history. Wheat Weaving - The art of weaving wheat -called corn- into ancient patterns. Explores history & rituals associated with different grains. Rag Dolls - The children make toys from scraps of leftover material and explore the traditions of toy-making. Brass Rubbings - History and purpose of Brass Rubbings, and each student gets to create one. Garland Making - 'Tis Spring! The season in which men and women don garlands. In the class, they make them, too! The Still Room - The uses and meanings of herbs and spices in pomanders and sachets. Mask-Making - A period fun craft with instruction on masks in folklore and beliefs. Needlework - Learning embroidery while delving into the historical concept of "busy hands". Herbology - A hands-on experience in the ancient uses of nature in medicine & attraction! Learning by doing. Get out of the classroom, and get on your feet! 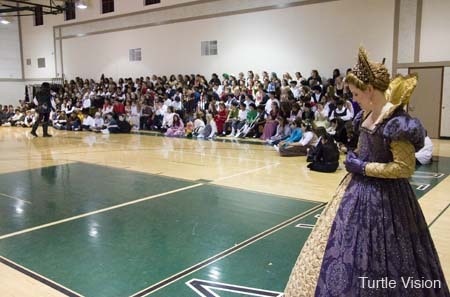 Pageants - Learn about the purposes of pageantry, and then the students each get a chance to perform in St. George. 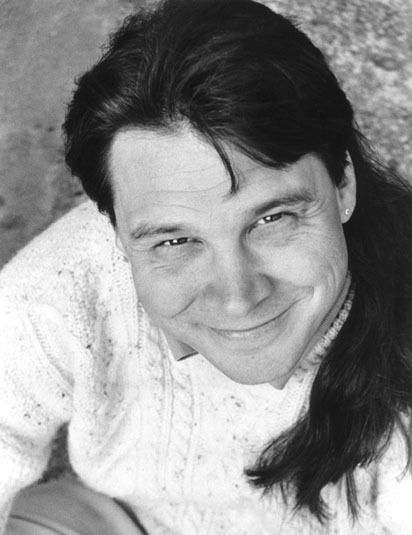 Storytelling - Fables and legends brought to life by a master storyteller. 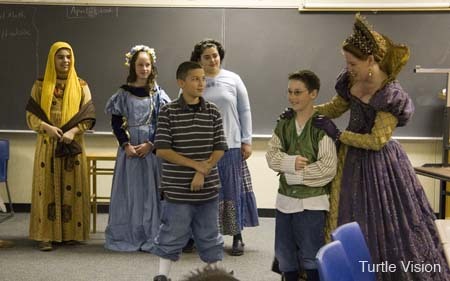 Shakespearean Performance - Budding actors get a chance to ham it up in a performance of Pyramis and Thisbee. Commedia dell' Arte - Experience the birth of comedy in Italy, and learn to walk and talk like the stock characters. 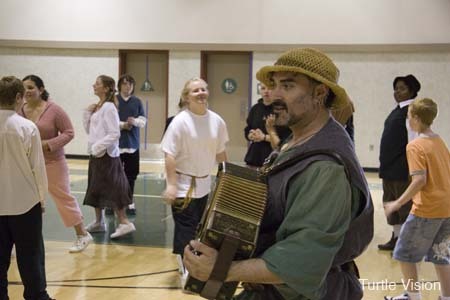 Country Dance - Learn about English folk traditions by joining in the dances. Songs of the Times - In England, you don't have to sing well; Just Loud! Military Life - Drilling and training of an Elizabethan Soldier, including pike maneuvers. 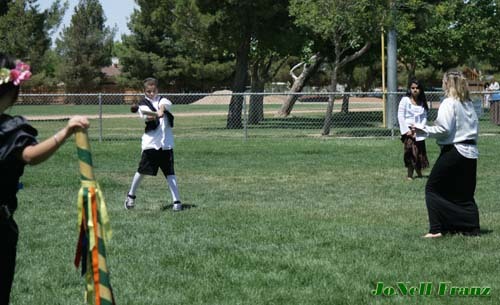 Rounders - Elizabethan backwards baseball! The forefather of modern baseball and cricket. Mummer's Play - Students recreate an ancient Mummers Play! Our principle is: Education is more effective with Student Interaction. Falconry - Birds of Prey! 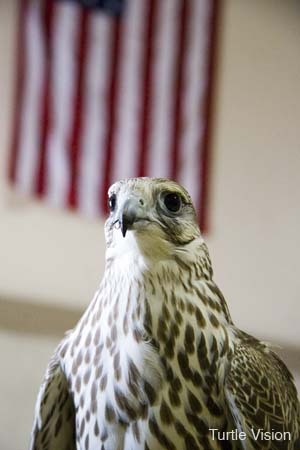 Our Royal Falconer travels with any combination of Falcons, Hawks, Owls and Eagles! Instruction, Interaction and Free Falcon Flight ensues. 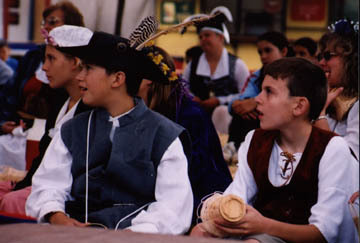 Daily Life - Give the student a glimpse of Elizabethan life and traditions, including the everyday life of children their own age. The Adventures of Sir Francis Drake - Meet the sea captain and learn the fascinating story of a pirate/privateer. A Visit with Sir Walter Raleigh - Experience the journey from soldier to Queen Elizabeth's favorite. 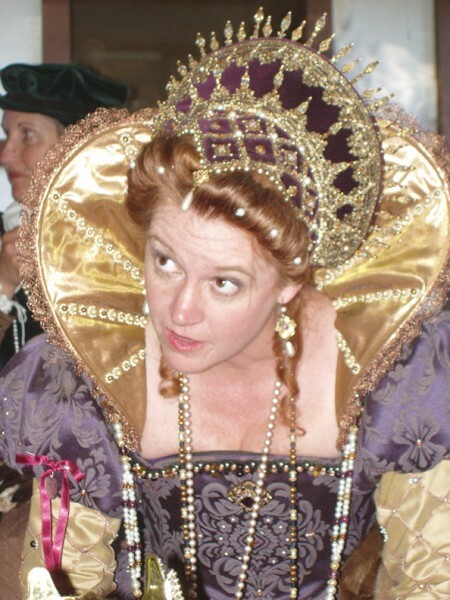 An Audience with Queen Elizabeth I - Meet the monarch and experience her life from the Tower of London to the Royal Court. Acting up! with William Shakespeare - Join with the bard in theatre games as he recounts his tale. Crime and Punishment - Elizabethan Justice and Penalties - Big with the teens! The Barber-Surgeon - Renaissance Medical History that is truly Medieval. Folklore - Beliefs and superstitions based on the times and surroundings of the people. "It's not bacteria, it's witchcraft! Massachusetts’ Bay Colony - Visit with one of the colony's founders, known as the Pilgrims. Corn Husk Dolls - A study of children's colonial or Civil War daily life including making a cornhusk doll. 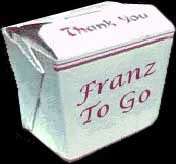 Toys from when materials were scarce! A Visit with Thomas Jefferson - Meet the statesman and hear of his life and times. A Call on Betsy Ross - Get the woman's perspective on America's beginnings. The letters of John and Abigail Adams - A pair of presenters portray the political and practical points of view on America's infancy. Songs of the Times - The songs that our forefathers sang. 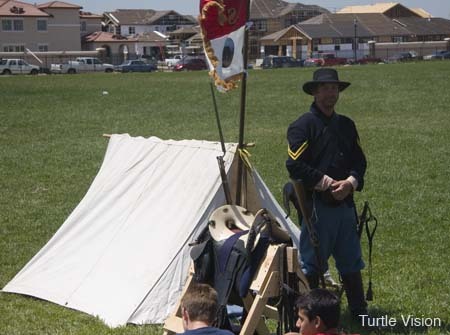 Civil War Weapons - A demonstration of weaponry and interactive battle tactics. CW Battles - An interactive overview of the major battles played out on a US map! CW Stretcher Races - Games with instruction on first aid and foraging. CW Camplife - A recreation of a soldiers campsite, with hands-on discussion. CW Cavalry - The life of a cavalry soldier, with horse, when available! CW Dancing - A beloved class! From Square Dances to Cotillions, students get up and Dance! Mary Edwards Walker - Teaching CW medicine and clothing from the first US female doctor to wear pants! Basketry - A student favorite! A hands-on experience in basket making. Rag Dolls - The children make toys from scraps of leftover material, as they have for centuries. Folklore - Beliefs and superstitions based on colonial times and surroundings of the people. Daily Life - Give the student a glimpse of colonial life and traditions, including the everyday life of children their own age. From the classroom to the assembly, these shows can make books come alive! These can be simply performed, or in addition to a lively instruction period. The Royal Falconer - Nothing holds an auditorium spellbound like Birds of Prey! 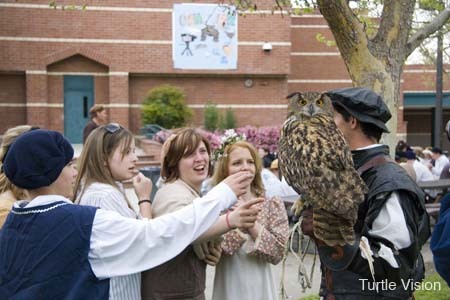 Our Royal Falconer travels with any combination of Falcons, Hawks, Owls and Eagles! Instruction, Interaction and Free Falcon Flight ensues. "The Taming of the Shrew" - The bard's classic battle of the sexes presented as a half hour high energy romp. "St. George and the Dragon" - An interactive pageant from Medieval and Renaissance times. A Call on Betsy Ross - Get a woman's perspective on America's beginnings. "Jack Is Back" - An old west 'Mellerdramer', in which the audience gets to Cheer the hero and Boo the villain.